Thanks to a clubhouse joke played by pitcher Antonio Alfonseca–who in a 2008 television interview referred to Ruiz as “chucha” (a Colombian slang term for “underarm odor”)–teammates, the media and baseball fans have since referred to the Panamanian MLB All-Star catcher by his beloved nickname “Chooch”. 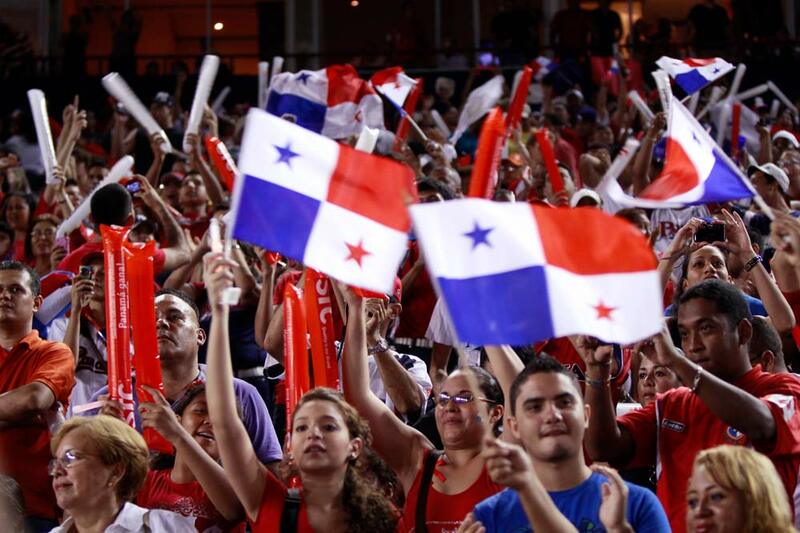 The sweat rebels sacrificed over a century ago which gave Panama independence from Colombia is reminiscent to that of national hero Carlos Ruiz’s in his improbable “I Think I Can” MLB ascent. 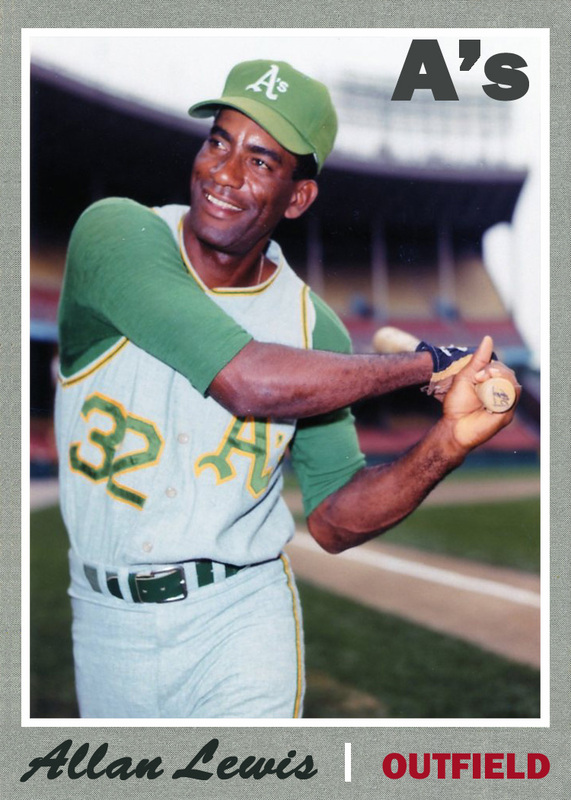 “The Panamanian Express” Allan Lewis stole 116 bases for the ’66 Leeburg A’s before playing six seasons in MLB. Having passed on the 5-foot-8 Ruiz in two prior 1998 tryouts–once as a pitcher and a second time as an infielder–Phillies’ Panamanian scout Allan Lewis (AKA “The Panamanian Express” for being the 1967-73 Athletics’ pinch-running specialist) insisted on new international scouting director Sal Agostinelli fly to Ruiz’s hometown in David, Panama to give the Phillies organization one last look before giving up on this natural-born talent with an outstanding bat. While Agostinelli was having trouble considering Ruiz an infield prospect during the 1998 work out, Lewis suggested they try him out at catcher. After a few drills behind the plate with former Phillies Minor League catcher Agostinelli, it was apparent that Ruiz possessed enough athleticism, physical arm strength and promise to suggest it might just work. In what appeared to be a long shot $8,000 signing bonus in converting a second baseman to a position he had never played before, Philadelphia offered Ruiz a pro contract and an invitation to the Phillies Dominican Baseball Academy to become a catcher. Phillies scout Sal Agostinelli signed MLB All-Star Catcher Carlos Ruiz in 1999. When Ruiz shared the news with his schoolteacher mother that he had been offered a $8,000 signing bonus with the opportunity to play in the Dominican Republic to start his professional baseball career in the Phillies organization, Inocenicia Rios was a bit nervous. After all, her 19-year-old son would be dropping out of school and abandoning his college coursework toward a degree in physical education for little money to beat the odds of making it to the Big Leagues at a position he was unfamiliar with. 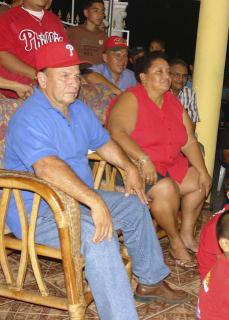 Carlos Ruiz’s parents (shown above) knew how important it was for their son to pursue his dream of playing MLB and ultimately supported him. Nearly a decade later when her son caught the final pitch of the 2008 World Series to give the Phillies their second championship in franchise history, Panamanian President Martin Torrijos called Ruiz’s mother to congratulate her for supporting Carlos’ decision to realize his dream. Call it Panamanian pride or unconditional love for her son in what seemingly was a futile trip to the Dominican catching baseballs… In the end, the journey to MLB was definitely worth the 2008 World Series ring and the subsequent Presidential Ceremony honoring the Phillies catcher at President Torrijos’ residence at Palacio de las Garzas. When Ruiz was caught between a rock and a hard place having to decide whether to report early to 2009 Phillies Spring Training to work with the Philadelphia pitching staff or represent his country in the 2009 World Baseball Classic, President Torrijos sealed the deal for Team Panama with a personal phone call to encourage the isthmuth nation’s eighth ranked all-time leader in hits to participate in the international competition. the 20th perfect game in MLB history. Although Ruiz has been heralded as one of baseball’s best hitters today, his skills behind the plate are top-notch. He has taken the initiative to study as much as he can about hitters by reading countless scouting reports on players. 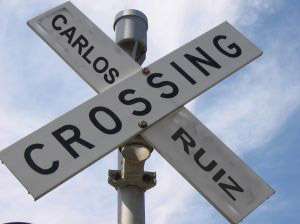 As he began to notice things take place on the field, Ruiz learned about which situations required certain strategies. By seeing the adjustments hitters were making, he adapted by calling pitches to counteract them. His confidence to call pitches and to control the pace of the game garnered him the trust of the Phillies pitching staff. Ruiz’s natural leadership skills and keen understanding of the game has made him perfectly suited to playing catcher. Perhaps the true testament to Ruiz’s mastery came and went twice when he caught Roy Halladay’s perfect game during the 2010 regular season and Doc’s no-hitter encore in the 2010 postseason. Panama’s Carlos “Calicho” Ruiz & “El Hombre Araña” Rubén Rivera. 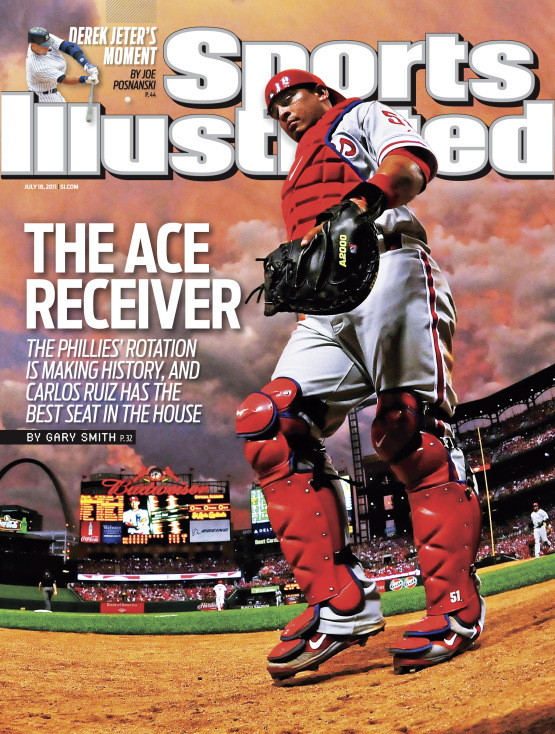 It was recently announced that the Phillies picked up the $5 million club option on Ruiz’s contract for the 2012 All-Star catcher to return next season. That’s a good move for the rebuilding organization–considering that in 2012 Ruiz posted an all-time career best .325 batting average, which put him in a tie for seventh-best in the league among players with at least 400 plate appearances. His 32 doubles, 16 home runs, 68 RBI and a .935 OPS in 114 games kept Philadelphia alive in the NL wild card hunt late in the season. 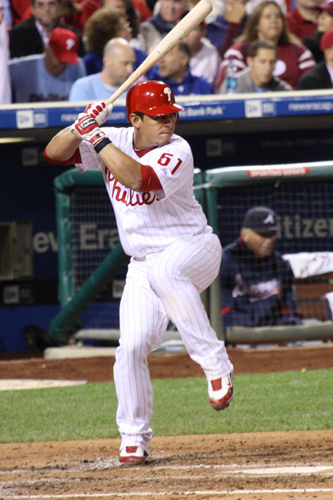 Despite a lagging foot injury in August which kept Chooch out of the lineup for some time, Carlos Ruiz hit cleanup for the 2012 Phillies in 32 games and fifth for another 32 games. However, Ruiz absolutely raked in the four hole, batting .365 with a .587 slugging percentage and 1.008 OPS in 138 plate appearances. If Philadelphia doesn’t acquire a big right-handed slugger during the offseason, the Phillies may very well use Ruiz again in 2013 as their cleanup hitter. in a modified double-elimination tournament with the winner qualifying for the 2013 WBC. The pride of Boquerón–Carlos Ruiz will undoubtedly give host Panama an edge over neighboring Colombia, Brazil, and Nicaragua in the upcoming World Baseball Classic Qualifier on November 15-19 at the newly renovated Rod Carew Stadium in Panama City. 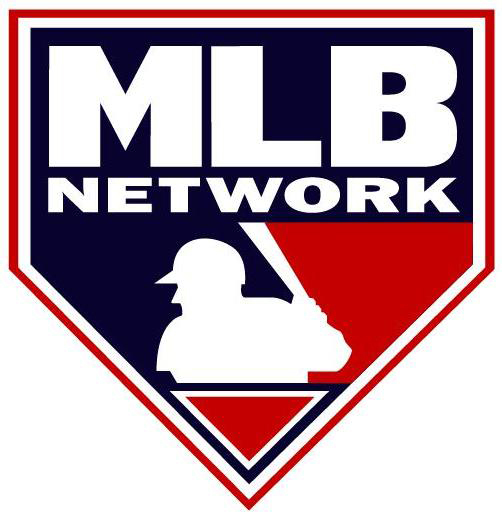 If you can’t make it there in person, MLB Network will televise the final Qualifier game live from the Panama City, Panama pool on Monday, November 19th beginning at 5 PM (PST). The WBC Qualifiers, which expanded the competitive field of the tournament from 16 to 28 countries, has already seen Spain and Canada advance to the main tournament. The winners from the Panama and Taiwan qualifying pools will join Spain and Canada in the first round WBC competition against Australia, China, Cuba, Dominican Republic, Italy, Japan, Korea, Mexico, Kingdom of the Netherlands, Puerto Rico, United States and Venezuela March 7-10 at Chase Field in Phoenix, Arizona and Salt River Fields at Talking Stick in Scottsdale. Second round WBC games will be held March 12-16 at Marlins Park in Miami, while the WBC Semi-Finals and Final take place March 17-19 at San Francisco’s AT&T Park. 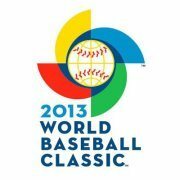 MLB Network will televise all 39 games of the 2013 World Baseball Classic. iViva el Béisbol! 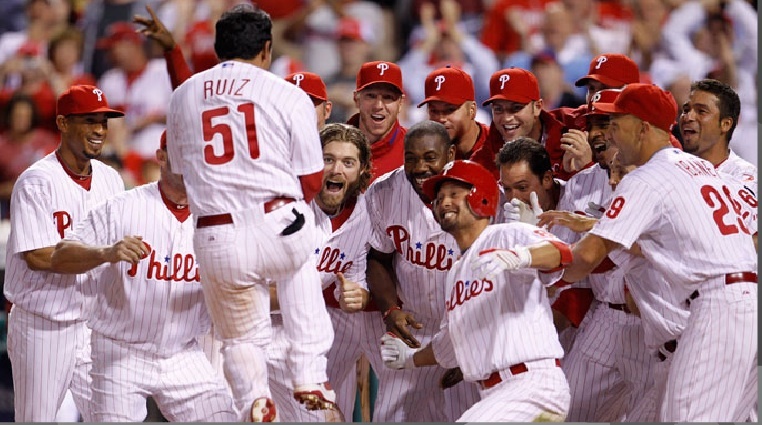 Carlos Ruiz is mobbed by his Phillies teammates after hitting a walk-off home run in May 2010.